Litter born July 4th, 2012. 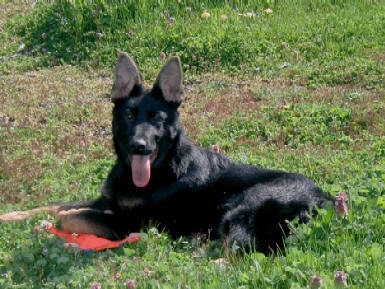 From a long line of working police service dogs, Jonni's dam Onika comes from impressive heritage of K9 Police lineage. 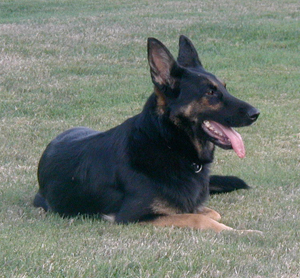 Her grandfather,, Von Bruin's Rangers Rookie, as well as her gr. grandfather and gr. 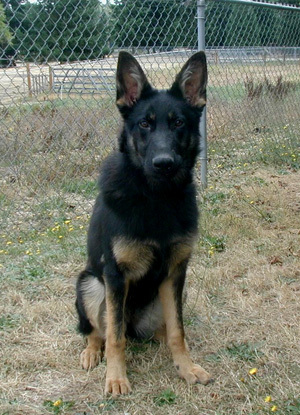 great grandfather, Gramar's PD Ranger and Ranger Vom Kaisertor, have all given many years of dedicated service in the line of of duty as working K9 Officers with the King County Kent Police Department here in Washington State.  Additionally, on the maternal sire's side of the pedigree you will find K9 Police dog Working Demo's for the Police Department. 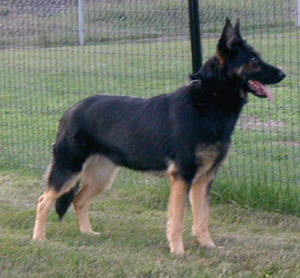 From the dam's lineage, Onika is the granddaughter of East German Import David v. Nebelholz, SchH2, FH and great granddaughter of the well known legendary Don v Rolandsteich, SchH2, FH., with lines to Bero v. BarutherLand. 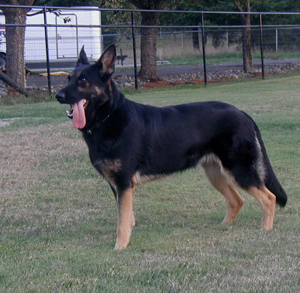 Jonni's sire, DDR Gradalen's Farox is an extremely impressive strong and sure large male of true bicolor coat coloration. He has the huge blocky head that the DDR Dogs are so well known for. Farox possesses very large bone, solid temperament, and has an excellent and substantial working structure. 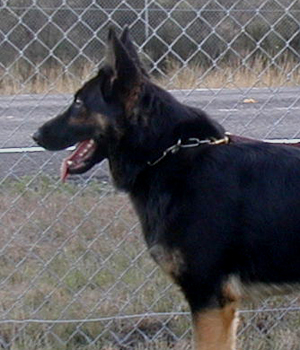 Farox's pedigree is 100 % East German. 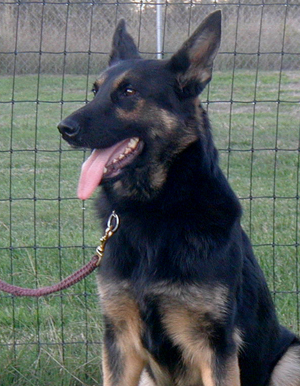 Farox has been trained in Dual Purpose Protection Work. Farox' Maternal Great Grandsire and Paternal Gr.Great Grandsire "Lord" was a top producing male who was renowned for imparting excellent working drives into his offspring, and was one of the finest producers of sound hips (producing good-excellent hips with around 98.5% success rate). Lord got his SchH1 title with a perfect score of 300 points. Out of his first 19 trials, he scored 15 perfect 100's in tracking. His lowest tracking score was 97! **DDR Lines to Lord vom Gleisdreieck, Alf Körnersee, Newman's Jim, Brando vd Marderklause Jeff vom Flamings-Sand, Blacky vom Gleisdreieck , and the Excellent Producing and well known Old DDR Dogs Arko vom Grafental, Don v Rolandsteich, Held Ritterberg and Ingo von Rudingen (credited for producing some of the strongest structural health for the working German Shepherd gene pool, vastly improving upon pigmentation and working abilities).